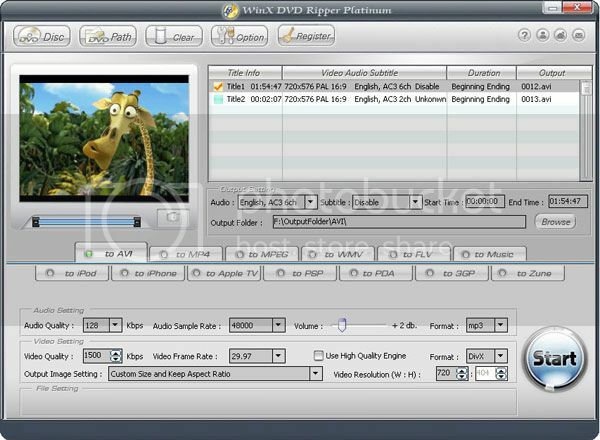 WinX DVD Ripper Platinum is a professional DVD ripping software tool which helps you to backup your DVD videos to your PC or into your portable devices like hard disks, pen drives, PDAs, optical media, etc. The ripping speed is really fast and the process is quite stable too. The ripped videos can be played on most of the portable devices including Apple iPhone, iPod, iTouch, Sony PSP, PDA, Zune and Mobile phone. Most of the popular video formats such as AVI, FLV, MPEG, MP4, WMV, etc are supported by this software. While ripping you can set various settings such as aspect ratio, video resolution, video frame rate or output video size. Another great feature is that you can extract only audio from videos. Previously, I had mentioned about a software- X2X Audio Convertor which does the same job. WinX DVD Ripper Platinum is usually priced for $24.95. But, from September 15th -30th you can get this software absolutely free. This is a feature packed software. I would recommend this to anyone looking for a good video ripping software.